The Bible describes itself in language that seem strange for a book. It is “living and active” (Heb. 4:12). It is no ordinary book. As a living book, then, we find that it accomplishes things in its readers, it is working on us even as we are reading it. The Psalmist, in his praise of the Word of God, notes particularly that the Scriptures are life-giving. The Word gives spiritual life to those who study it. The Psalmist looks to God for spiritual life, for resilience, and health. In each reference he knows that He needs God. Yet, in each reference there is also an association to God’s Word. Over and again, the Psalmist makes this same association. In verse 28 it is a prayer for “strength according to your word,” and in verse 37 it is more generally “life in your ways.” The terms vary but he continues to find that life is granted according to God’s Word. 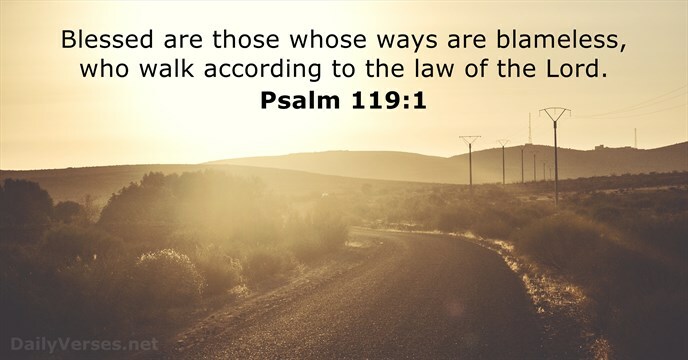 So, in verse 107 it is God’s Word, but in verse 154 it is His “promises,” and in verse 156 it is “rules.” Life is promises, assured, and found in reading the Word. Pastor Jason Meyer draws a beautiful connection for us from this Psalm to God’s life-giving breath. He notes that in verse 25, listed above, the language of dust is theologically weighty. “Dust” is a reminder of our frailty and harkens us back to Genesis. It reminds us of God creating man out of dust and breathing life into his nostrils (Gen. 2:7). Furthermore, notes Meyer, God’s life-giving breath is connected to the Scriptures. God’s Word is said to be “breathed out” by the Life-Giver Himself (2 Tim. 3:16). God’s Word, then, becomes a special means of receiving His life-giving power. When our soul clings to dust, we, like the psalmist, can cry out to God and look to His Word for help.